In this tutorial, we are going to learn how to connect to Wi-fi network from the command line on Ubuntu 16.04 server and desktop using wpa_supplicant. In a modern home wireless network, communications are protected with WPA-PSK (pre-shared key) as opposed to WPA-Enterprise, which is designed for enterprise networks. WPA-PSK is also known as WPA-Personal. wpa_supplicant is an implementation of the WPA supplicant component. A supplicant in wireless LAN is a client software installed on end-user’s computer that needs to be authenticated in order to join a network. Now let’s see how to connect to WPA2 wireless network using wpa_supplicant. First, make sure your wireless card is enabled. You can use rfkill. If you are using the desktop version of Ubuntu, then you also need to stop Network Manager with the following command, otherwise it will cause connection problem when using wpa_supplicant. You also need to disable NeworkManager start at boot time by executing the following command. Run iwconfig to find the name of your wireless interface. wlan0 is a common name, but my wireless interface is called wlp3s0. You can also see that it’s not associated with any access point right now. Then find your wireless network name by scanning nearby networks with the command below. Replace wlp3s0 with your own interface name. ESSID means network name. Now install wpa_supplicant on Ubuntu 16.04. We need to create a file named wpa_supplicant.conf using the wpa_passphrase utility. wpa_supplicant.conf is the configuration file describing all networks that the user wants the computer to connect to. Run the following command to create this file. 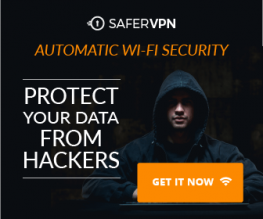 Replace ESSID and Wi-fi passphrase with your own. The output will be piped to tee which then write to /etc/wpa_supplicant.conf file. Now use the following command to connect your wireless card to wireless access point. You can see that the wireless interface is now associated with an access point. You can press CTRL+C to stop the current wpa_supplicant process and run it in the background by adding -B option. If your wireless doesn’t broadcast SSID, then you need to add the following line in /etc/wpa_supplicant.conf file. To automatically connect to wireless network at boot time, we need to edit the wpa_supplicant.service file. It’s a good idea to copy the file from /lib/systemd/system/ directory to /etc/systemd/system/ directory, then edit it because we don’t want newer version of wpasupplicant to override our modifications. Change it to the following. Obviously you need to change wlp3s0 if that isn’t your interface name. Save and close the file. Then enable wpa_supplicant service to start at boot time. We also need to start dhclient at boot time to obtain a private IP address from DHCP server. This can be achieved by creating a systemd service unit for dhclient. Put the following text into the file. Save and close the file. Then enable this service. I hope this tutorial helped you set up Ubuntu server 16.04 wifi from the command line. As always, if you found this post useful, then subscribe to our free newsletter. You can also follow us on Google+, Twitter or like our Facebook page. You got me through a tough situation, thank you good sir! This is such a detailed tutorial. Thanks very much! I’m curious about having an additional wifi adapter via USB and have it setup as an AP which bridges the connection to wlan0 which is connected to the internet. Does Ubuntu support bridging e.g. wlan0 and wlan1? I’ve been trying to get this to work on Xenial server but to not avail. Worked like a charm!!! Even giving me chills at the very beginning when you asks for someone seeking for internet connection to apt-get something (dam!) didn’t gave it up and jumped to Step 2! It took a while to understand the steps but finally I got it working. I’m bringing back to life an old Atom Acer netbook with Ubuntu server 16.04 (32bits) and was just mad why daheck have it discovered my wireless hardware beautifully on install process (I did insert SSID, passphrase, etc) and after first boot it was just gone!!! Great article! Works like a charm! Thank you! It works also for Ubuntu Server 18.10 so thank you very much for this useful and clear guide! An awesome article which expresses how to use wpa_supplicant to connect wifi manually!